There is no guarantee that any of the six will be selected, though at least one player has been taken the past four years, including Terrelle Pryor and Josh Gordon, who was selected by Cleveland in the second round of last July’s supplemental draft. The former Baylor Bear, whom many projected as a sure-fire pick when last year’s class was announced, had a productive rookie season, finishing with 50 receptions for 805 yards and five touchdowns. These losers hardly ever pan out. Yeah, Brooks is playing well, but he' s ticking time bomb. They definitely come with a lot of baggage. It's best to just stay away from them. Ten of the 41 players chosen in the supplemental draft since its inception in 1977, when the Seattle Seahawks tabbed Notre Dame running back Al Hunter with a fourth-round choice, never played a regular-season snap. Nineteen either never did (before their retirements) or never have started in a regular-season contest. The most recent four players selected in the supplemental draft -- defensive linemen Jeremy Jarmon (Washington, third round, 2009) and Josh Brent (Dallas, seventh, 2010), Unga, and quarterback Terrelle Pryor (Oakland, third, 2011) -- have accumulated one start among them. If Miami is going to roll the dice on a player & this guy is not in the Sup draft. Colonial Athletic Association football. Preseason All-American right tackle Michael Bamiro's request for an extension of his eligibility recently was denied by the NCAA, according to school officials, and the 6-8, 335-pound prospect is headed to the NFL as a free agent. Bamiro, who has retained agent Billy Conaty and is preparing for a private workout Thursday for NFL scouts, said the eligibility issue came as a "huge surprise" to him when he first learned about it in late May. He had received his bachelor's degree in journalism and was expecting to return to Stony Brook as a graduate student for his senior season. Correct me if I'm wrong, but Cris Carter was selected in the supplemental draft, so they aren't ALL misses. so they aren't ALL misses. I don't believe anyone here said they are ALL misses, but it proves my point. Most of these guys are a joke, you're going back to '87 to find a player...lol. Not worth wasting a pick. Generally they are not talented players or they are but just not hard workers. But it did take Cris Carter to be on his second team to "fix" his life. Eagles drafted him in Supplemental Draft and Buddy Ryan cut him when his character became an issue. He then went on to Minnesota and had a Hall of Fame career. Kosar was also a Supplemental Pick. But there haven't been many winners over the years. On the other hand, there is no reason why you can't take one these guys with next year's 7th round pick. Gotta take some chances. You never know!!!! After some research. We do not have to go back that far. Ahmad Brooks was an All-Pro for the San Francisco 49ers in 2012, a supplemental draft pick for the Cincinnati Bengals in 2006. DT Jamal Williams (1998) was named to the Pro Bowl. 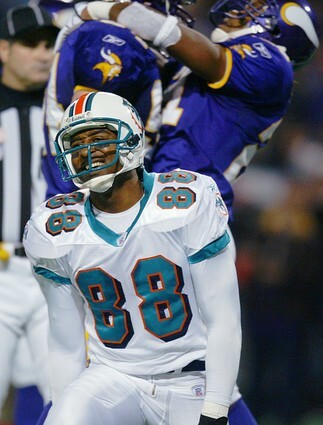 Chris Carter didn't overcome his troubled ways until he went to his second team (Vikings). Eagles drafted him in Supplemental Draft and Buddy Ryan cut him when his character became an issue. Chris Carter? You mean the guy that won one last game for the Vikings in 2002? And my point is proven by 32 NFL teams. Now, that's telling when a team will not even use a 7th round pick on any of them. Did any of them get picked up as a free agent? Twenty-two teams attended Bamiro's pro day, with the Miami Dolphins reportedly staying in the mix until the end. Garafolo writes that Bamiro didn't get much of a signing bonus, but a portion of his salaries were guaranteed for the next two years. That's a sign that Bamiro could make the team.